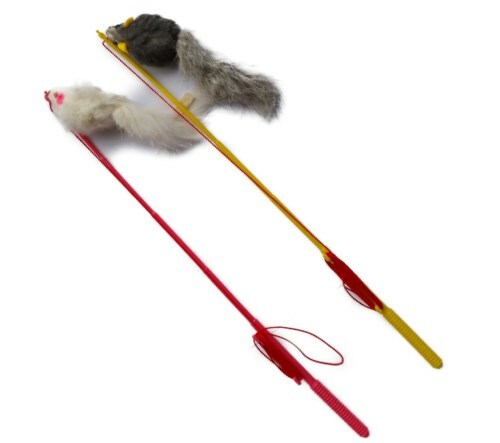 This Rabbit Fur mouse fishing pole Cat Toy is a great interactive toy for you and your cat! Cats in exercise, especially if they are inside all the time. This toy creates some fun for you and your cat and gives them exercise at the same time. The fishing line used is light and can bounce making the mouse at the end to bounce. Cats can not get enough! 12 inch long plastic wand with hooks to wind the fishing line up. Made with durable string that is about 40 inches long. 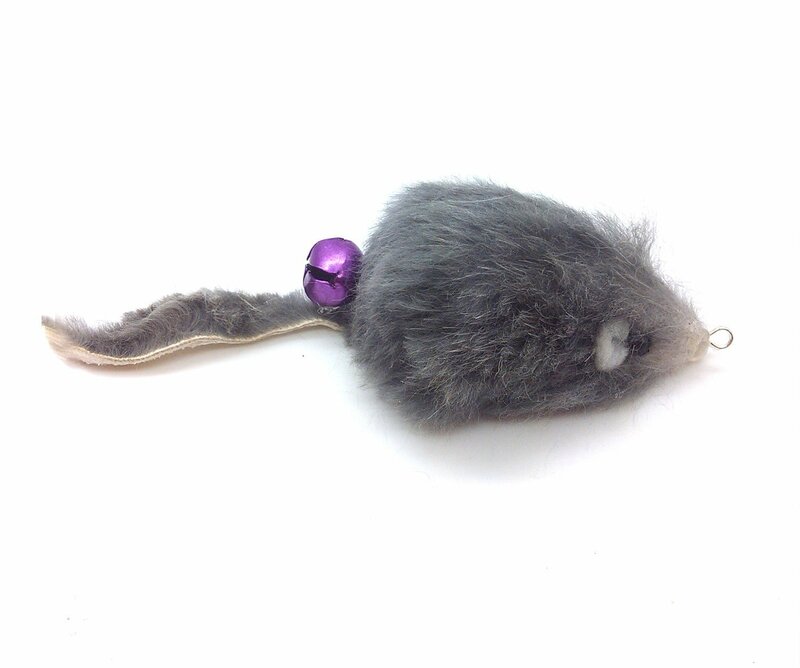 Real Rabbit Fur Mouse is natural rabbit fur color and is about 2 inches long.